Iranian president has highlighted the huge capacities for expansion of Tehran-Tashkent relations, saying the two states should cement their age-old ties in all fields. “We consider Uzbekistan as a friendly country in the past and future of our history,” said President Hassan Rouhani on Wednesday in a meeting with Uzbek Foreign Minister Abdulaziz Kamilov in Tehran. “The historic ties, cultural commonalities, and mutual national interests have completely connected the two countries while no borderline is shared,” said the Iranian top executive, according to Mehr. 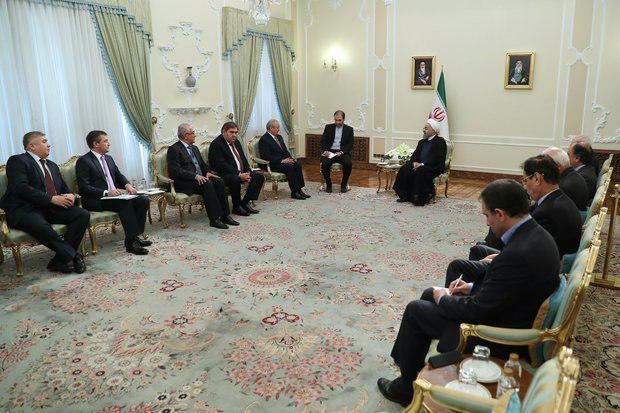 Rouhani went on to say that historic relations and the closeness between the two nations provide huge opportunities for bolstering and cementing bilateral relations between the two countries. “Expansion of these relations will bring benefits for both nations and the region,” he added. The Uzbek FM, for his part, voiced the firm determination of Tashkent for deepening and broadening ties with Iran in both political and cultural avenues. “The visits made by senior officials of Uzbekistan to Iran are aligned with the objective of expanding mutual cooperation and founding strategic and long-run relations between Tehran and Tashkent,” underlined the top Uzbek diplomat. He also called for further cooperation between Iran and Uzbekistan in areas related to strengthening security measures in the region. “The two countries of Iran and Uzbekistan enjoy rich Islamic histories and are able to stop the spread of extremism through joint efforts,” Kamilov added. Meanwhile, Iran says it is studying a request by Uzbekistan to export crude oil to the Central Asian country – an announcement that shows the list of Iranian oil clients is expanding as the nation pumps more crude to international markets. 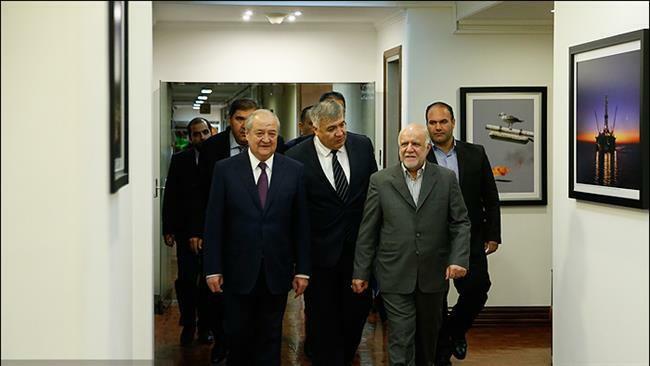 Iran’s Petroleum Minister Bijan Zanganeh was quoted by the domestic media in Tehran as saying that ranking Uzbek oil officials were already discussing imports from Iran with the National Iranian Oil Company (NIOC). “Uzbekistan’s oil production is limited. Therefore, it needs to import this strategic product,” Zanganeh was quoted as saying by IRNA. “Given that Uzbekistan has no access to sea, exports to the country need to be carried out through land and probably by rail,” he said after meeting the visiting Uzbek FM Kamilov, Press TV reported. The Iranian minister further emphasized that Tehran still needed to study the technicalities involved in exports of oil to Uzbekistan, stressing that the Islamic Republic supports the move as it could help strengthen relations between the countries.